Naylor had an unsuccessful trial with Leeds United as 15-year-old and then joined Yorkshire Amateurs. He also signed schoolboy forms with Lincoln City in February 1979, before turning professional in June 1980. Although he was to play 49 league matches for Lincoln, he also had loan spells with Kettering Town, Peterborough United and Crewe Alexandra (twice). In February 1986 he moved to West Bromwich Albion for a £110,000 transfer fee, which was the start of a long stay at the Hawthorns, appearing in 355 league games for the club. He also won three caps for the England ‘B’ team to add to his earlier recognition when playing for England youth. Naylor moved to Bristol City in August 1996, but was restricted to 37 league outings. He also played on loan at Mansfield Town. His next move was to Walsall in March 1999, but he never played a league game for them. Signing for Exeter City in August 1999, he made his debut on the opening day of the season, a 1-0 home win against Hull City. He remained at St James’ Park for just the one season, which included an inspired performance against Everton in the FA Cup, until he had to be replaced for the second half through injury. 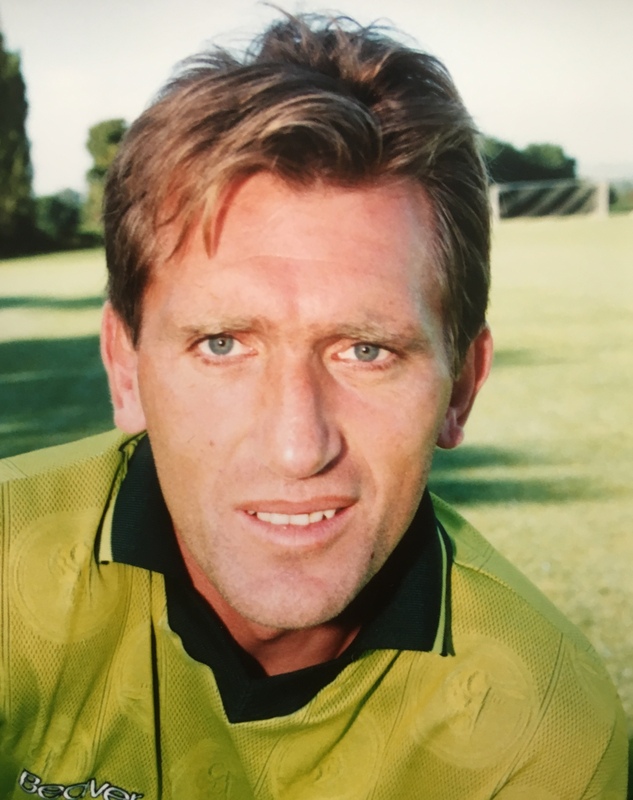 After leaving Exeter, Naylor joined Rushden & Diamonds, before moving into coaching with them as goalkeeping coach. In March 2004 he followed Rushden manager Brian Talbot to Oldham Athletic, again as coach. Naylor then returned to one of his former clubs, Bristol City, where he was appointed goalkeeping coach in July 2005.